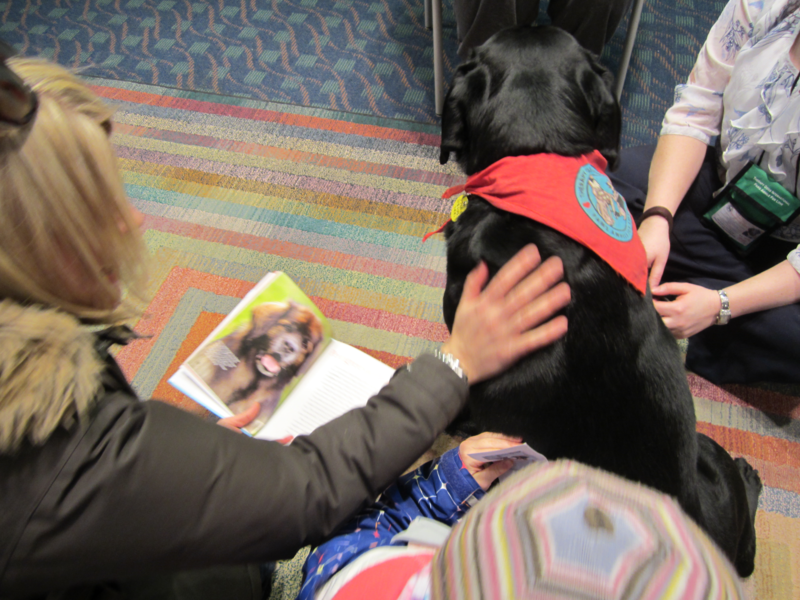 Children are invited to read to gentle therapy dogs (with the dog’s adult trainer). Reading to dogs has been shown to improve reading skills and build self-confidence in young readers because of the non-judgmental and friendly nature of these animals. No sign-up required.